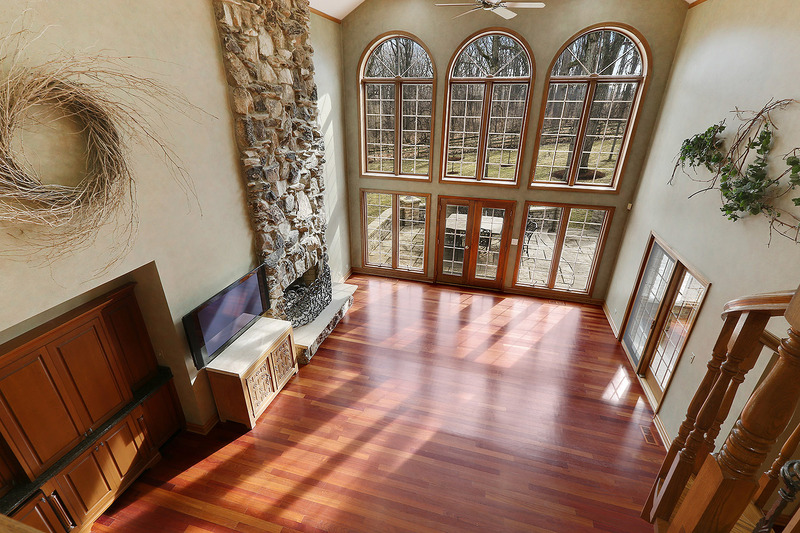 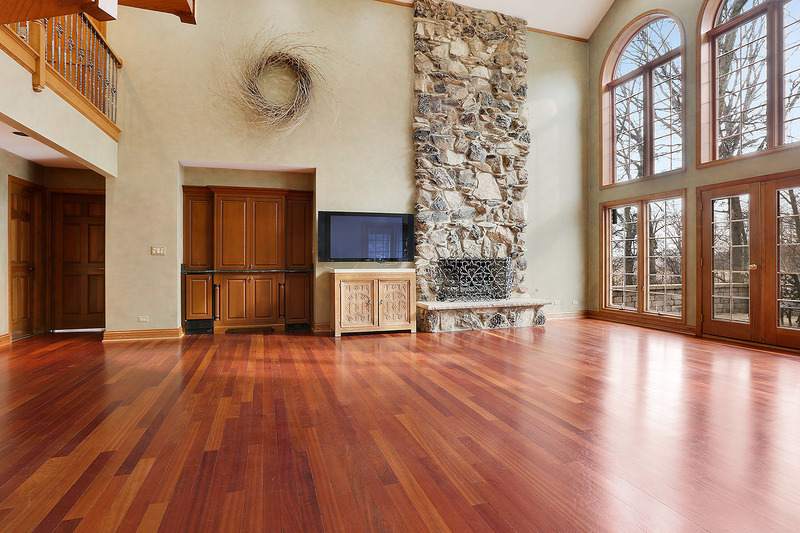 As you enter the living room of this gorgeous great room living room you are immediately filled with a sense of awe. 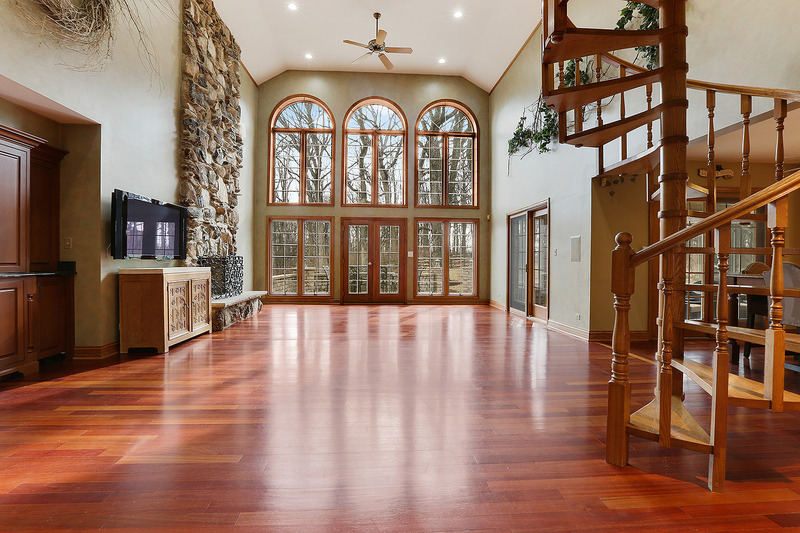 This wide open space with high ceilings fills you with an overwhelming sensation of opulence. 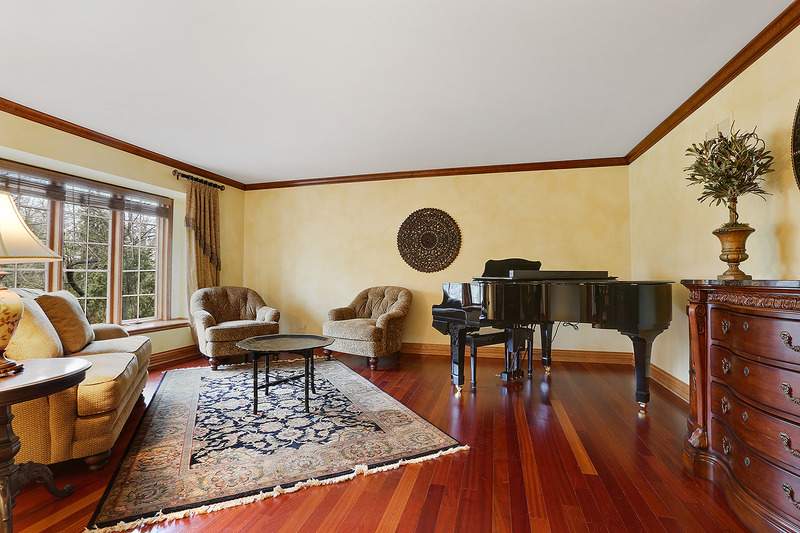 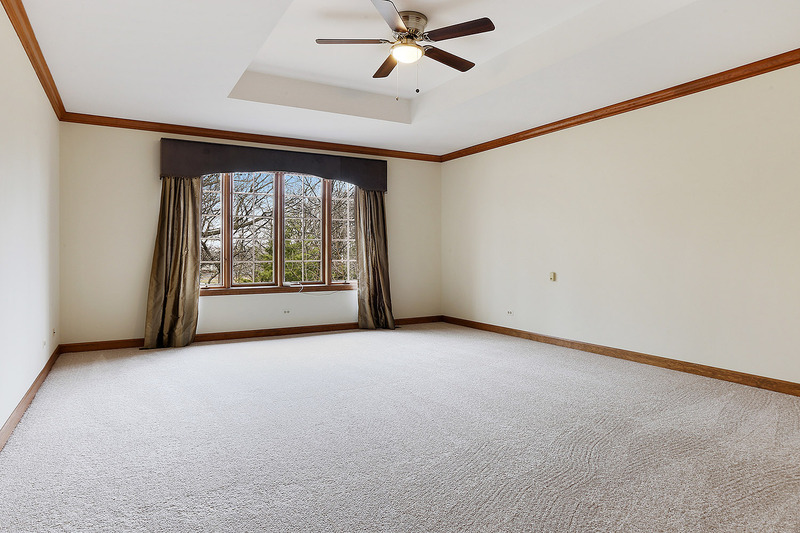 This great room is an absolute dream for entertaining a large number of guests or simply relaxing in beauty and comfort in your free time. 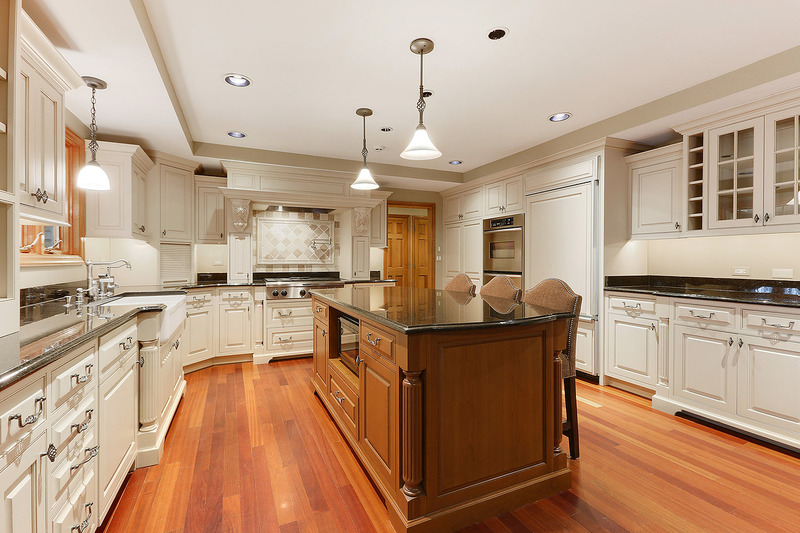 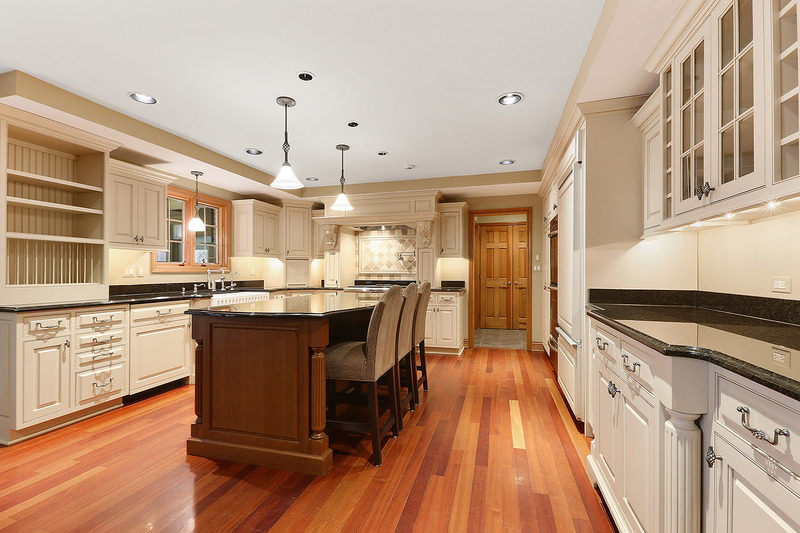 Cooking for your family or entertaining guests with hors-d'oeuvres is motivating and simple when you experience it in this luxurious kitchen. 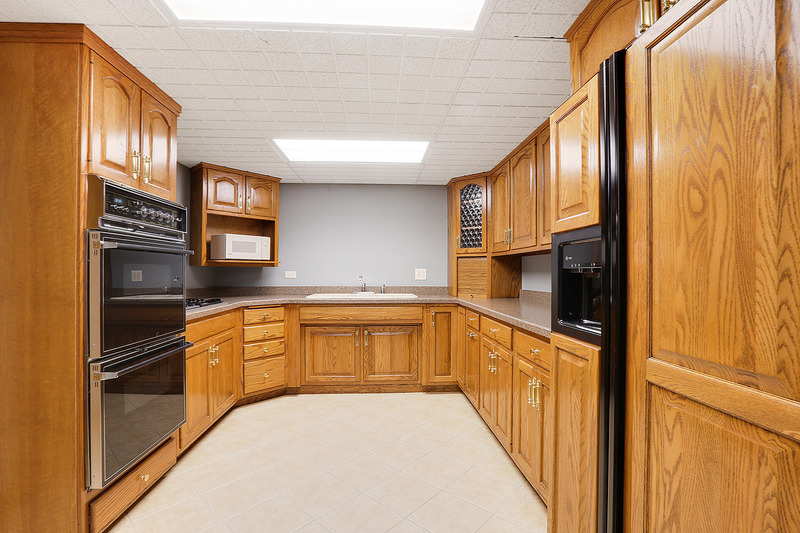 Beautiful counters, gorgeous island, double ovens, endless cabinet storage, gorgeous range hood, and gas stove complete this gorgeous open kitchen. 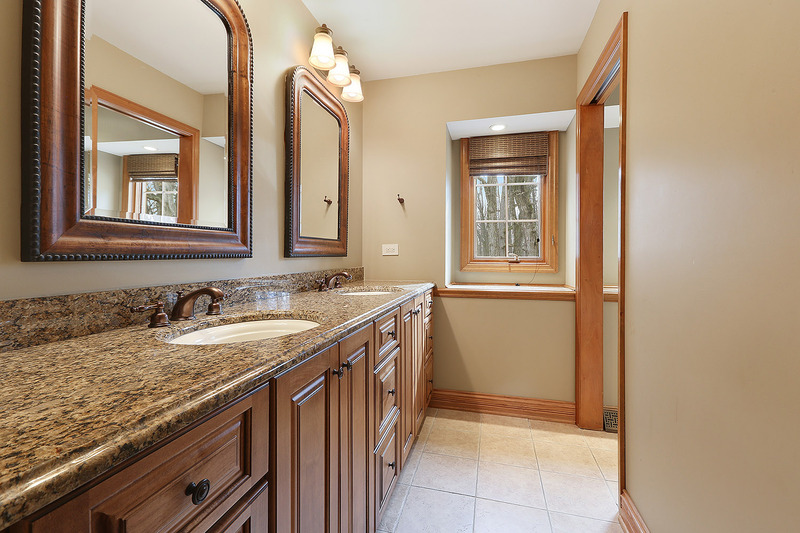 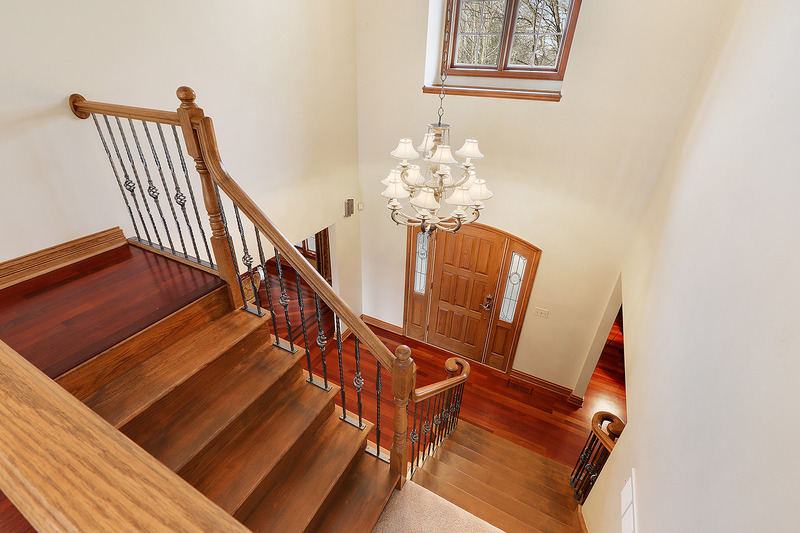 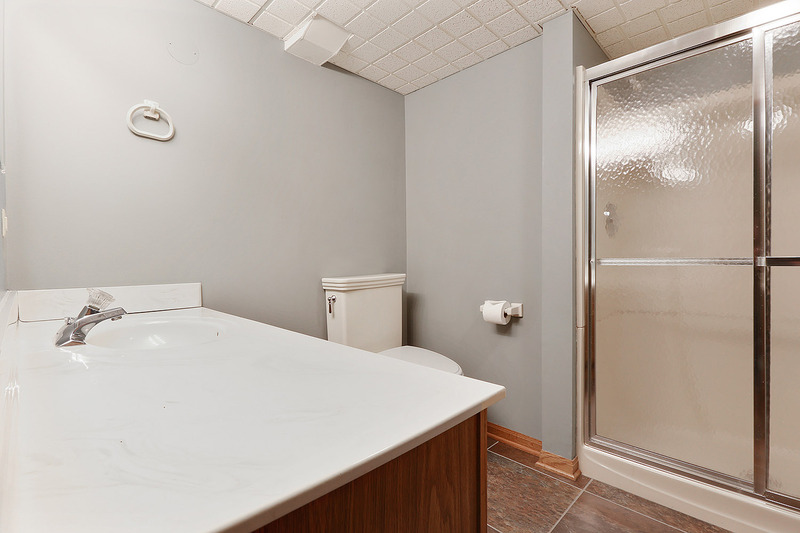 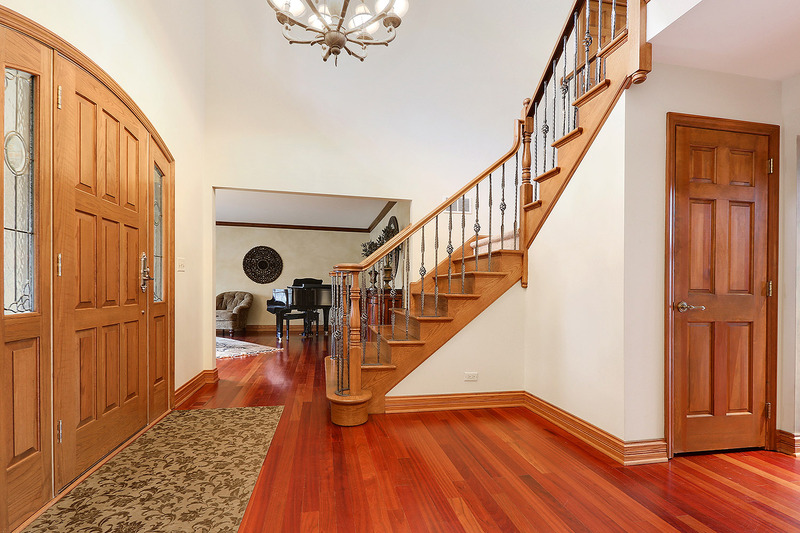 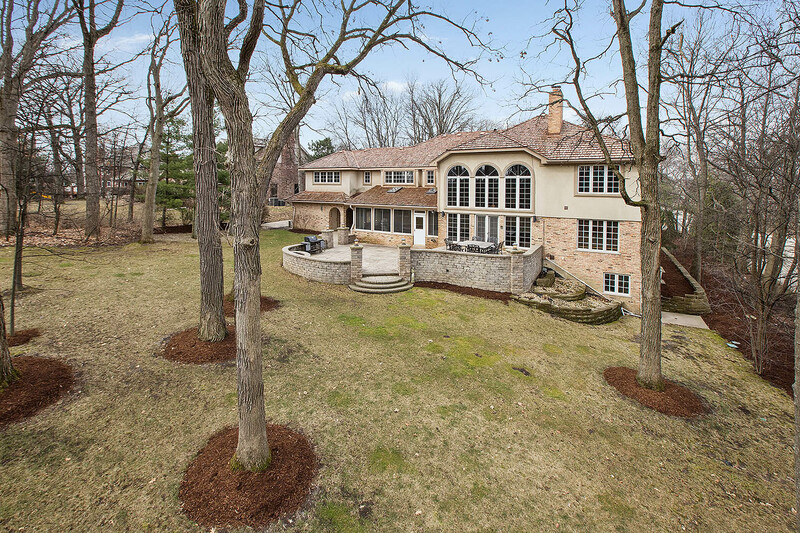 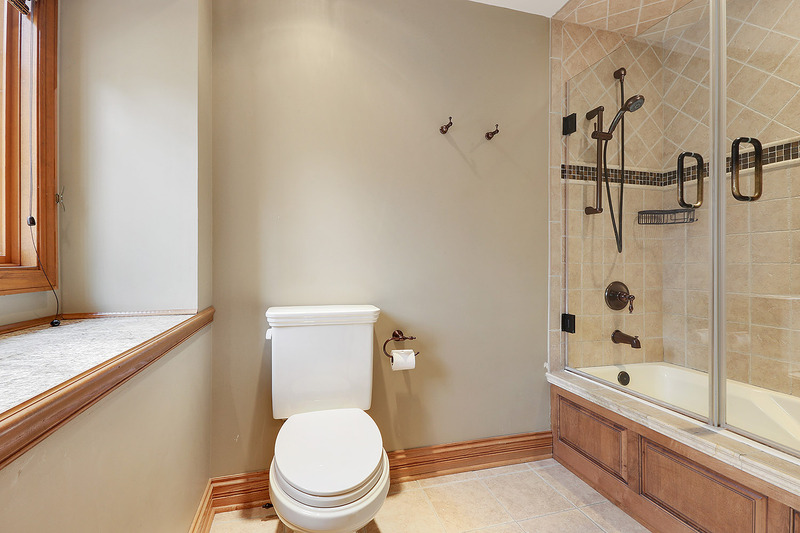 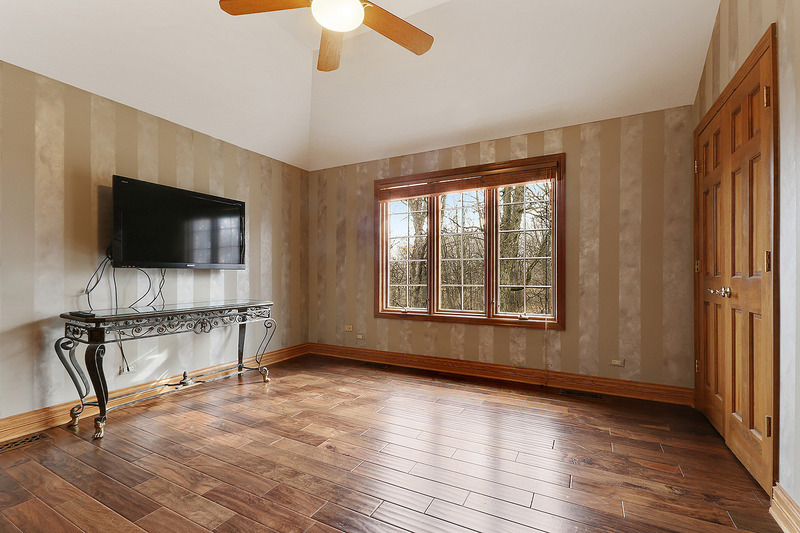 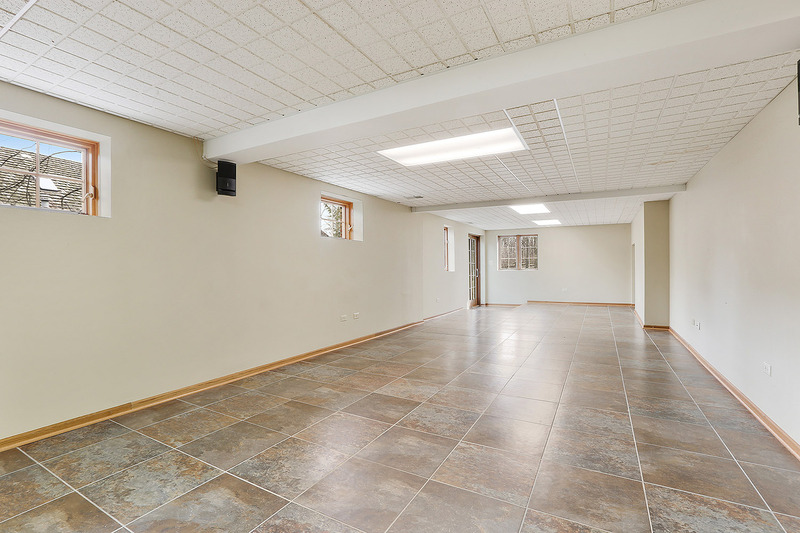 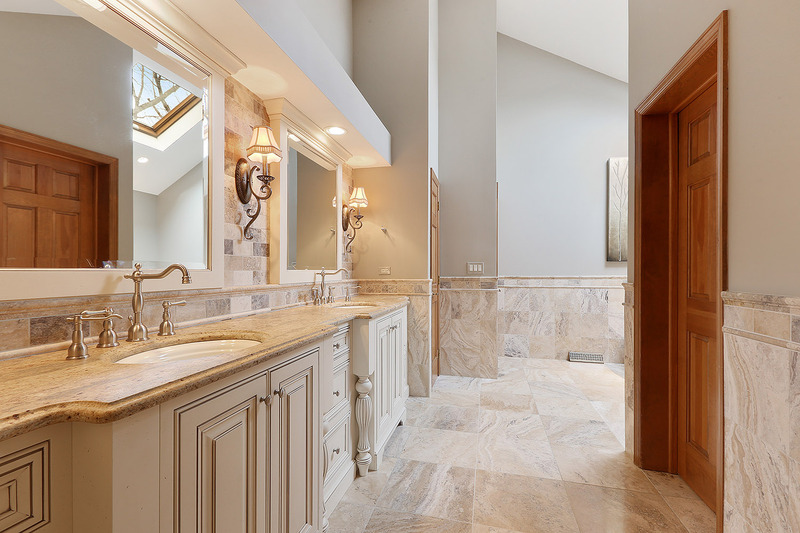 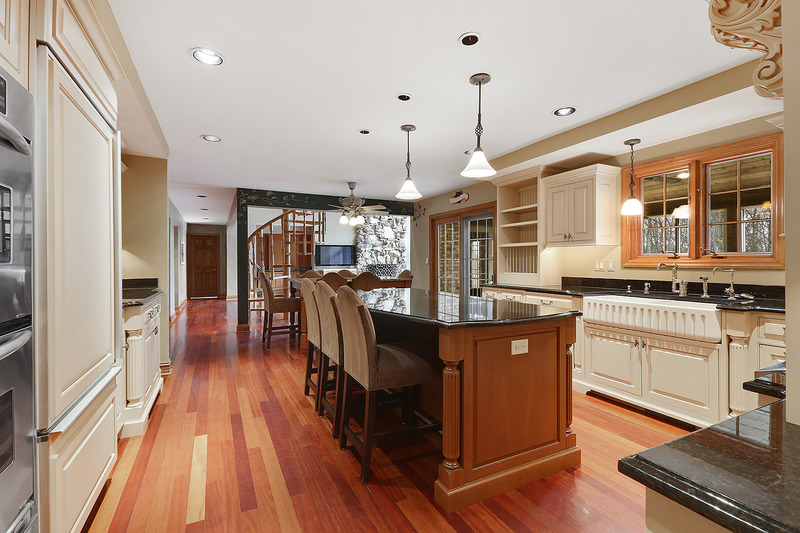 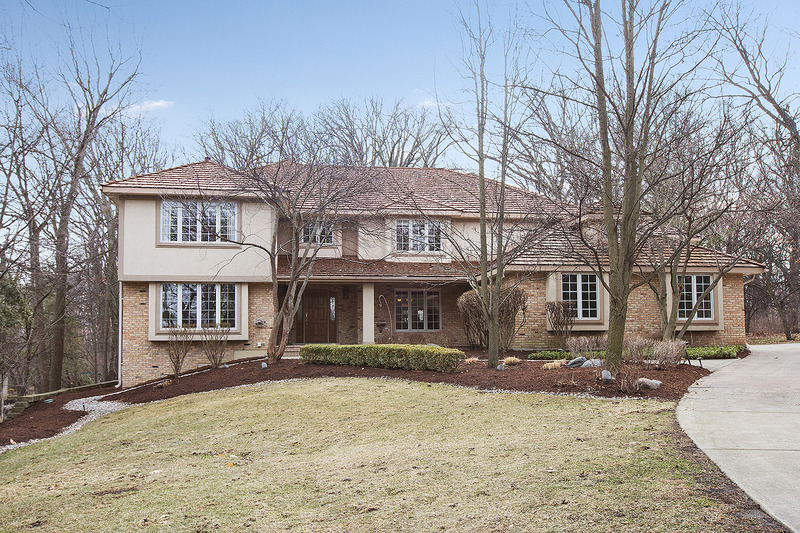 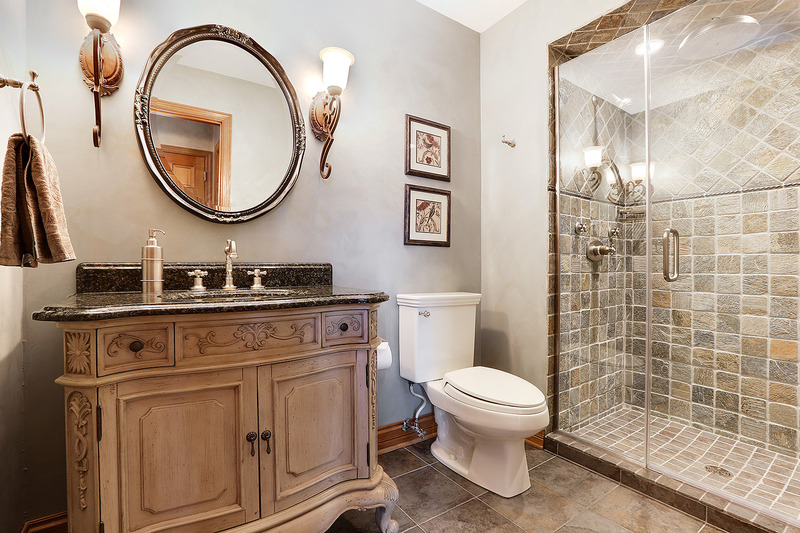 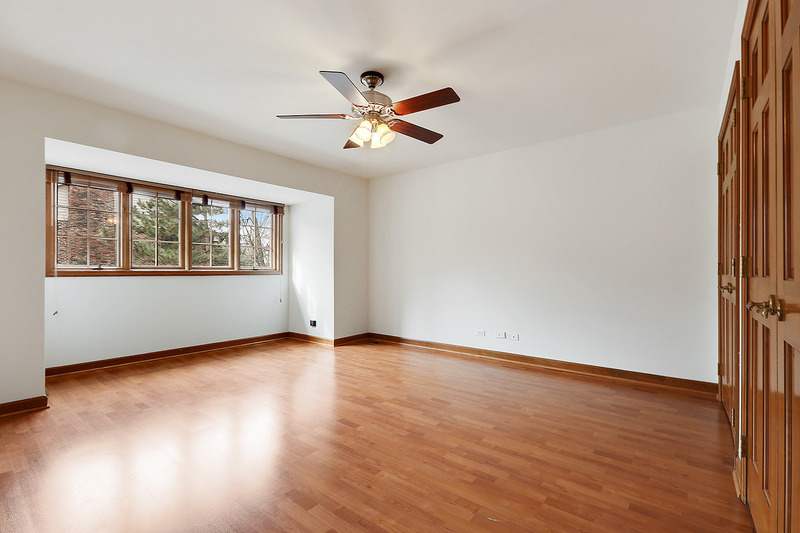 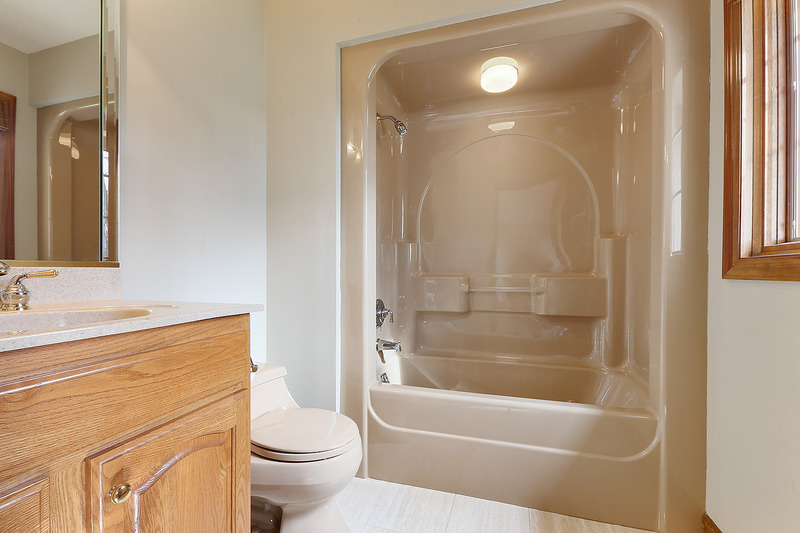 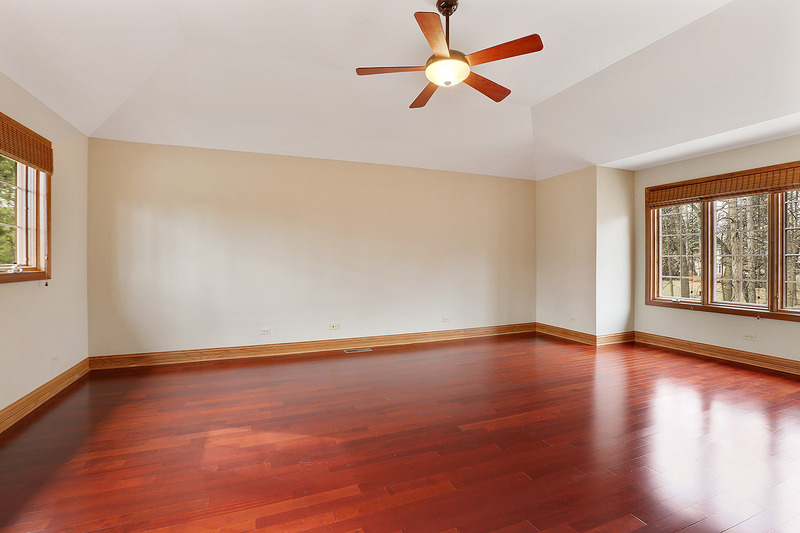 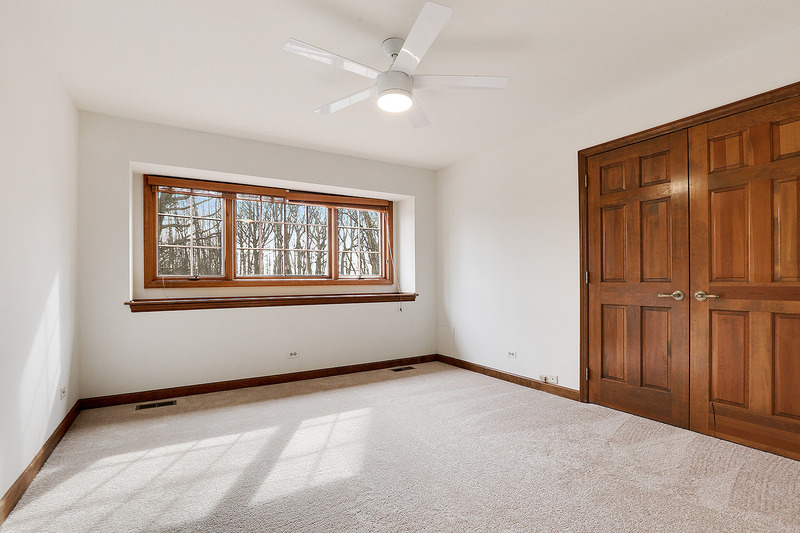 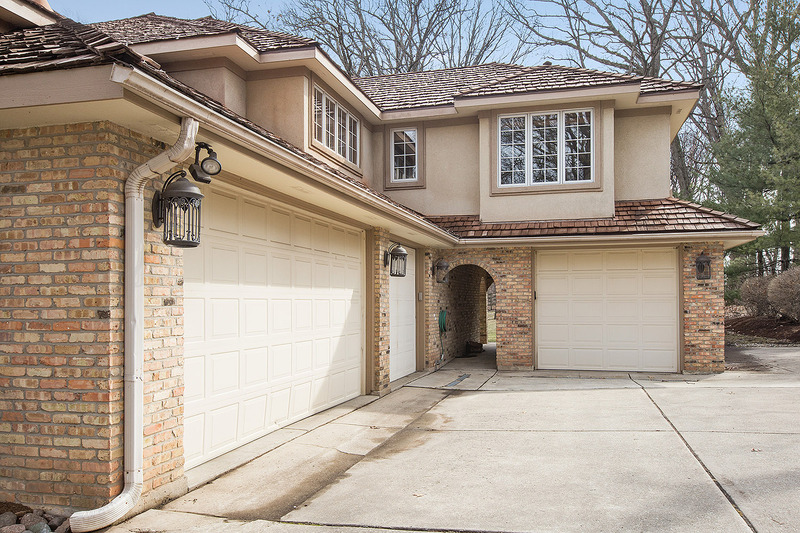 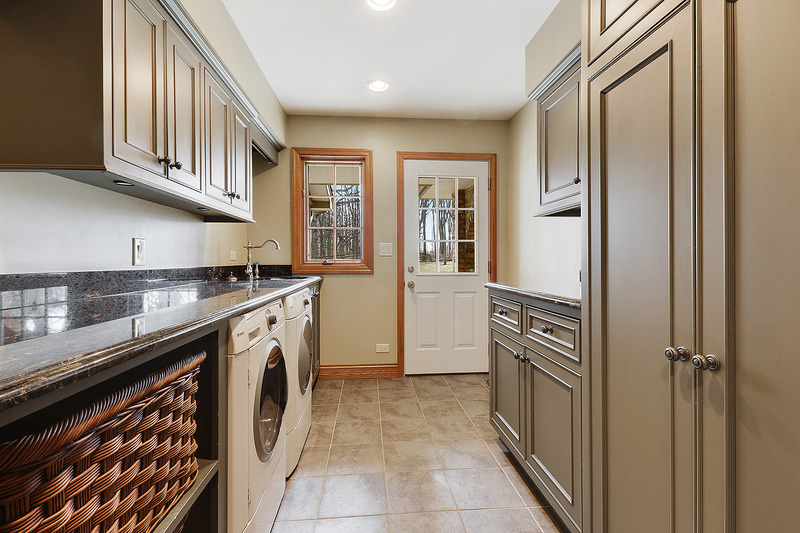 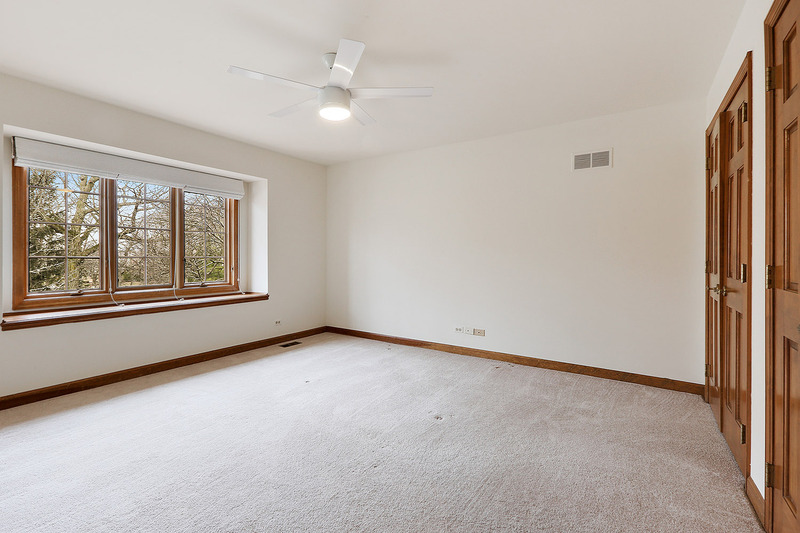 This home boasts some of the finest elegant touches offered in Orland Park. 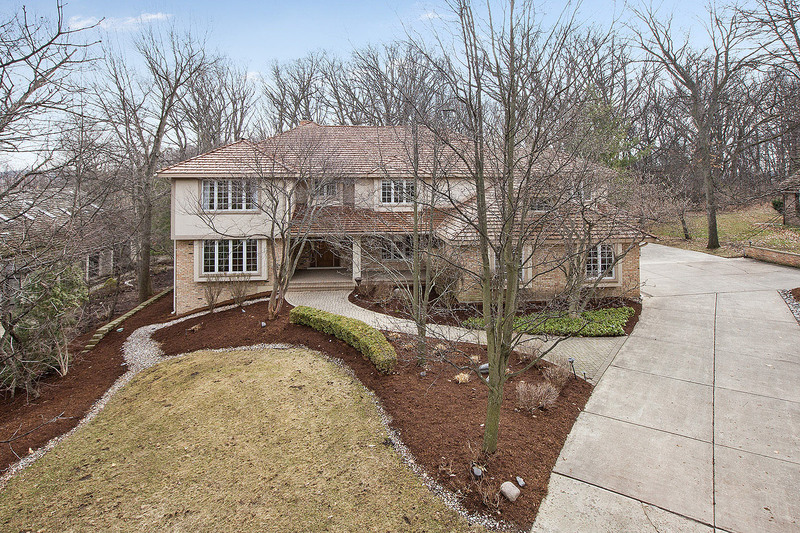 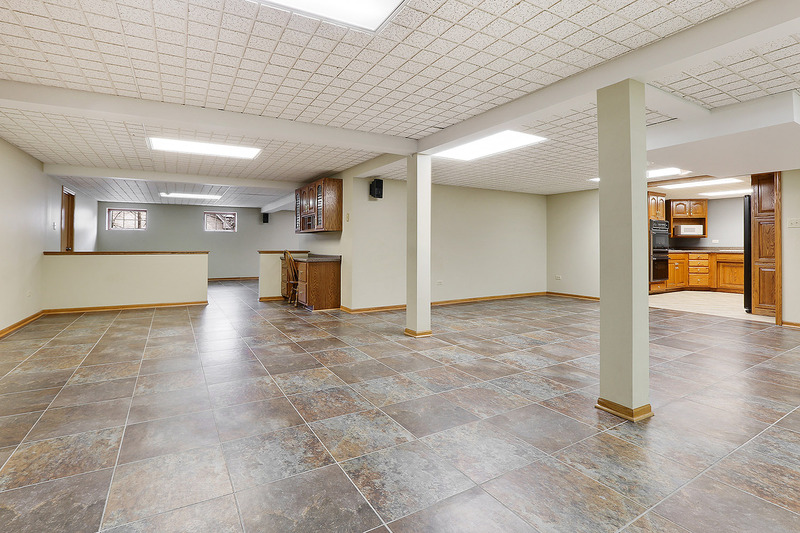 6 bedrooms, 5 full baths, 2 kitchens, a 4 car heated garage, a full finished walkout basement, and much more. 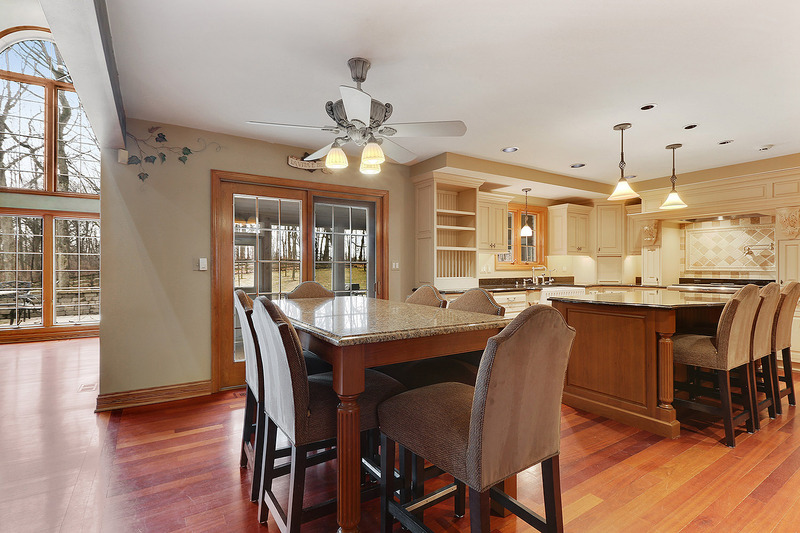 This home was created for life's comforts. 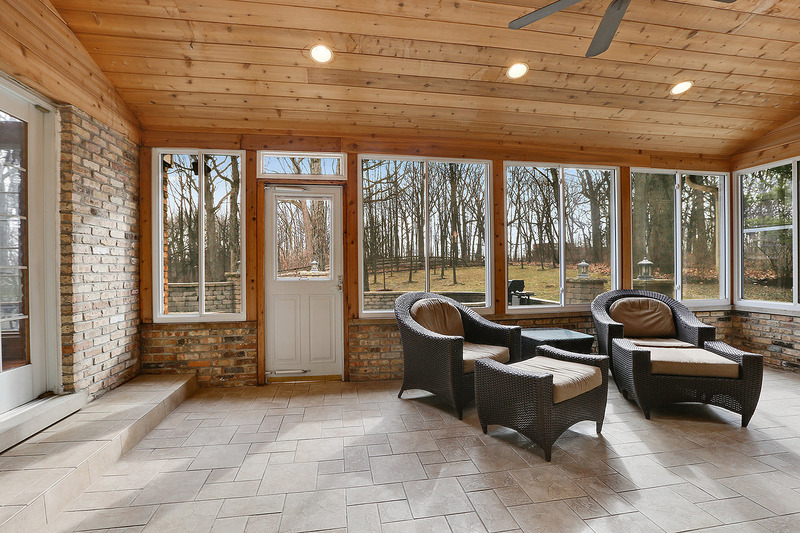 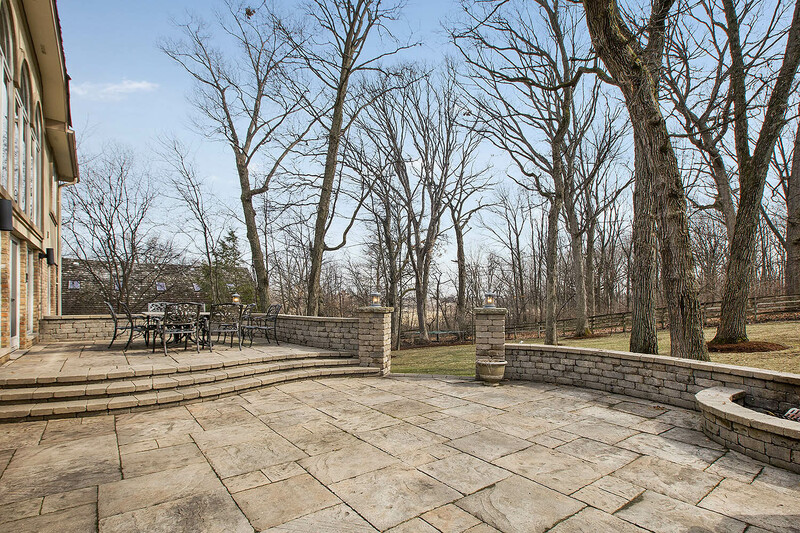 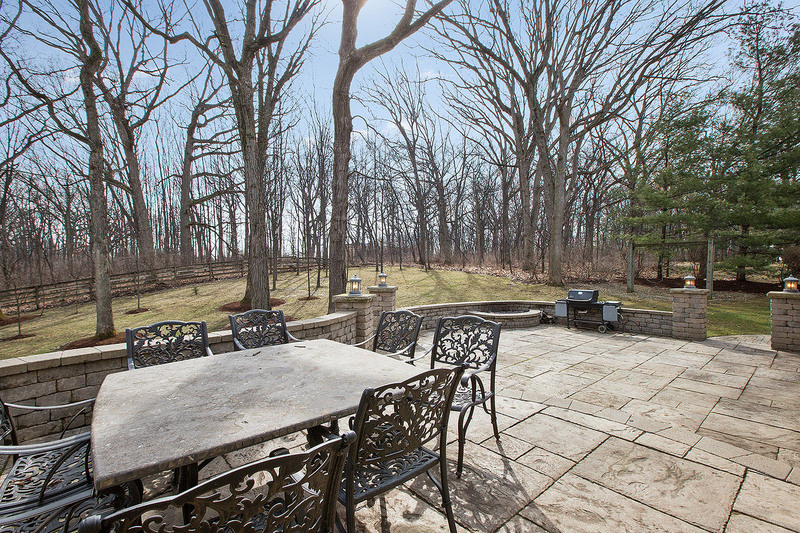 This gorgeous porch overlooking almost an acre on this wooded lot is the perfect space for entertaining family and friends.